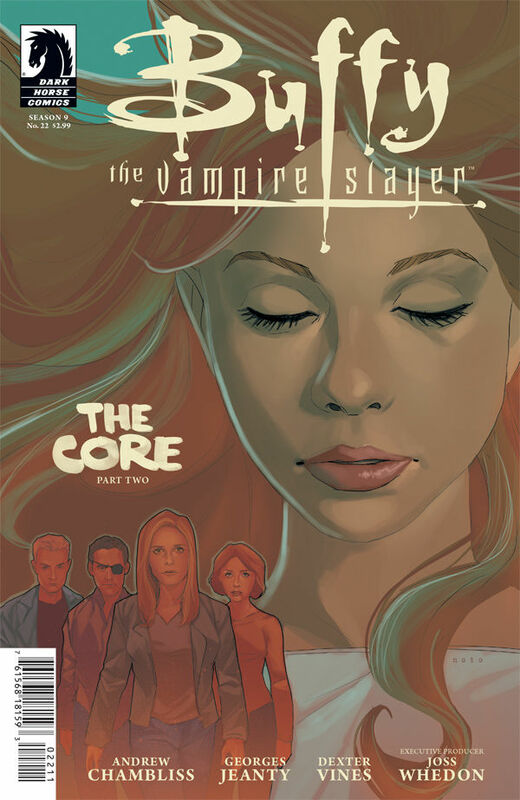 Another issue of the Buffy comic, another month where I find myself rooting for everyone except Buffy. Dawn and Spike, Xander and Willow — even the supposed enemies that the Scoobies are fighting against are more intriguing to me than the Slayer. Well, at least I can focus on them, right? We start off the issue with a battle. Always good to get right to the action! Willow and Buffy are fighting their way into the Deeper Well, but pretty much failing. It might help if they had the third member of their trio alongside but, alas, Xander is off in his hiding place, touching base with his new partners, Severin and Simone. I will not fault Xander for his alliances, not after seeing the struggles he has faced as a result of his friendship with Buffy. 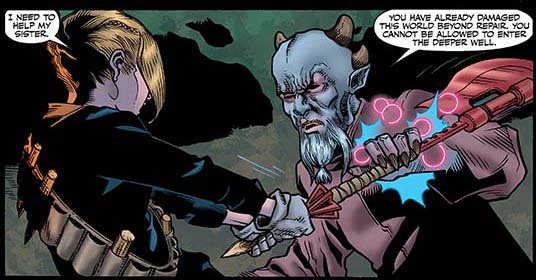 However, I can’t help but think this will be another instance where we find out Buffy’s right, Buffy’s always right, and she will come out the victor in all of this. I just want Dawn to get better, for her and Xander to have a nice life together, and for the looming dangers of being a Slayer’s ally to be far removed from their home. It’s good to have wishes. Meanwhile, Dawn’s slipping further and further away. She can’t remember herself or others, and it’s only a matter of time before she winks out of existence entirely. Newly-arrived Spike, however, isn’t going to let that happen. I adore Spike, that’s no secret, but the devotion and commitment we saw Spike share with Dawn in this issue solidifies that love for me. He may have written off big sister, but Little Bit will always hold a special place in his heart. I hope that he can sustain her memories and keep her alive until a solution is found. And, whatever the outcome, I’m sure Spike will remain there until the very end. We also got to see a glimpse of Billy and his Watcher boyfriend Skyping back and forth. Glad to see that they weren’t conveniently forgotten. I’m curious to know what information he’s dug up on Simone, though, as he relayed it to Spike to carry it on to Buffy. Will it be something that will give them the break they need? To turn the tide in Dawn’s favor? 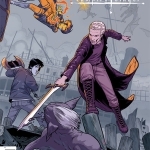 And will Spike get more deeply involved in Buffy’s fight, despite his wishes not to? I’ll remain interested in order to learn these answers, but also remain hopeful that Buffy will not once again turn into the savior that rights all the wrongs in the world.